SMS marketing is a trend that isn’t just limited to corporate businesses. It is a great tool for businesses in the entertainment industry as well. Nowadays even amusement parks have started making use of text marketing to gain a larger share of the market. According to experts in a few years time we will see a greater influx of this type of direct marketing. 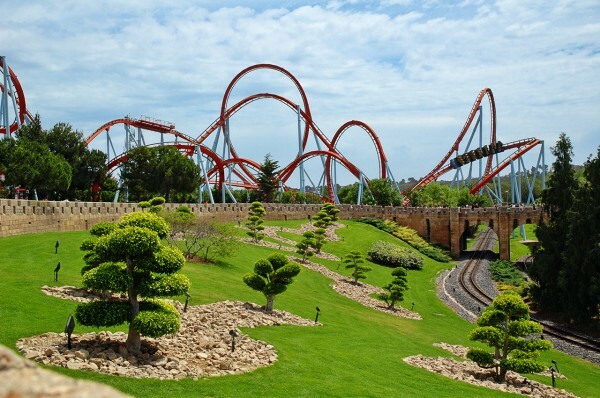 Let’s discuss how amusement parks can use SMS marketing to enhance business operations. All those who visit your amusement park regularly can be added to the customer database. These people are the members so you need to take special care of them. You can send out weekly or monthly reminders to these people telling them to visit more often. By positively reinforcing this idea you will be able to increase the number of visitors. The referral system is probably the oldest marketing trick one can think of. You can modernize this old trick through SMS marketing. Just send out messages to existing customers encouraging them to bring more people in. You can offer rewards and benefits in return for their effort. The majority of visitors at your amusement park are likely to be children. So you need to devise a strategy that targets this prime segment of the market. Be more customer-oriented, offer daily and weekly deals at discounted prices. Make your amusement park the perfect weekend getaway spot by introducing enticing deals that appeal to the interests of the customers. You can also target your SMS marketing towards the children’s parents, the ones who have the $$$. There are so many things that you can do with SMS marketing, the possibilities are almost endless. It is the most direct and efficient connection to the customer. A good idea for amusement parks would be to use this service to get people more involved. You can start a trivia competition or contest of some sort. Encourage the customers to send in their replies and offer a reward to the winner. It could be a free day at the park for two. Amusement parks can almost double their earnings with the use of mobile marketing. It is one of the most efficient and modern mediums that you can use. Despite the growth of social media, text marketing continues to hold its own in the industry. Most commonly mid and small sized businesses use this tool because it is cheap and a great long term investment. So if you are thinking of which medium to use to market your park then definitely consider SMS marketing.